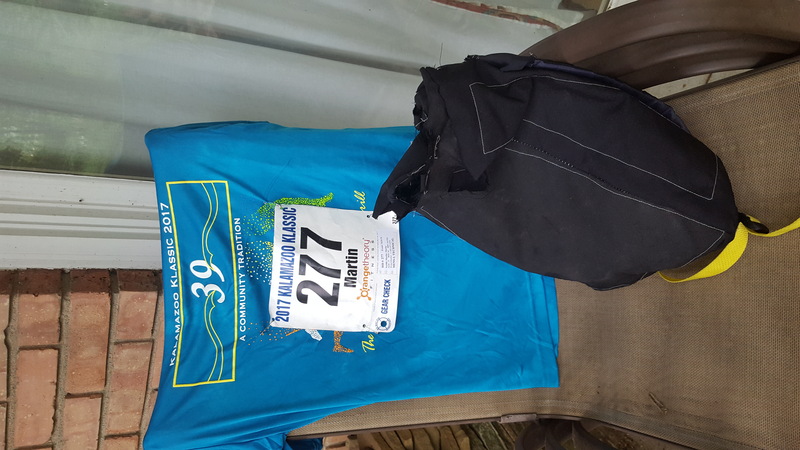 On June 18, 2017, I ran the 39th annual Kalamazoo Klassic 5k (the Hill, the Will, the Thrill) with one of the Pick’n Run backpack – the second prototype. 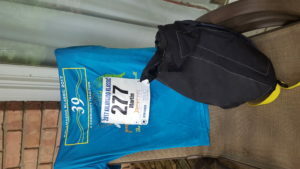 It is my second time running the 5k race, but is my first time to run it with the second prototype bag. Other times I would run with it during training. 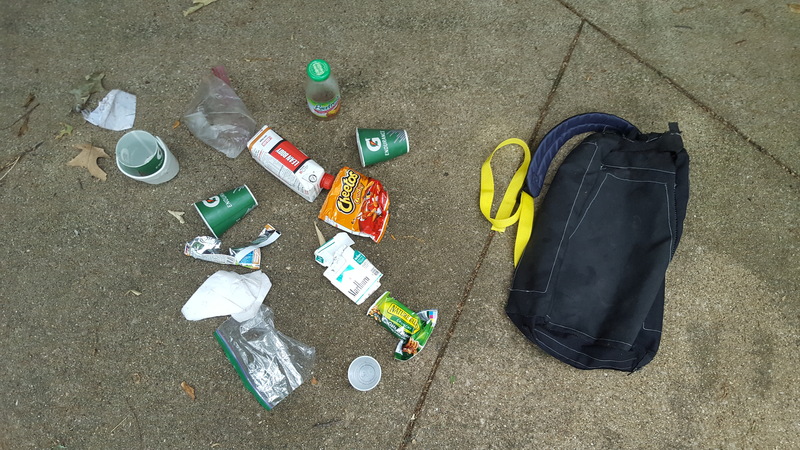 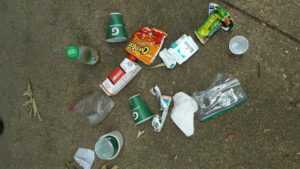 Four of the trash I made after the race, the rest I found on the street.